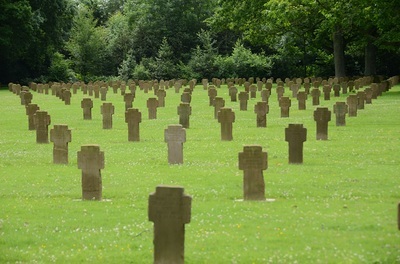 St. Désir lies 4km to the west of Lisieux. 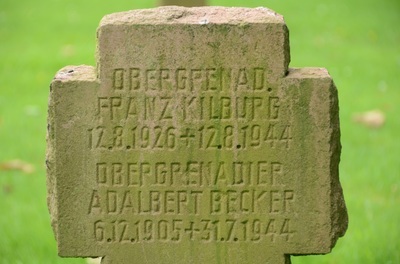 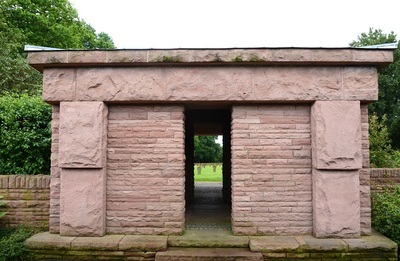 The German Cemetery is about one kilometre west of the village and lies just off the D159 - located adjacent to the British Cemetery of the same name. 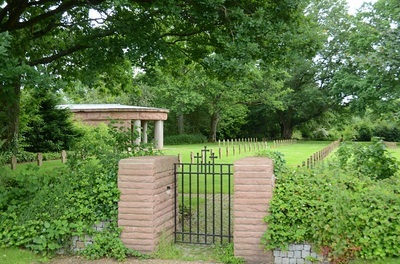 There is a small tree-shaded area for parking immediately outside the cemetery entrance. 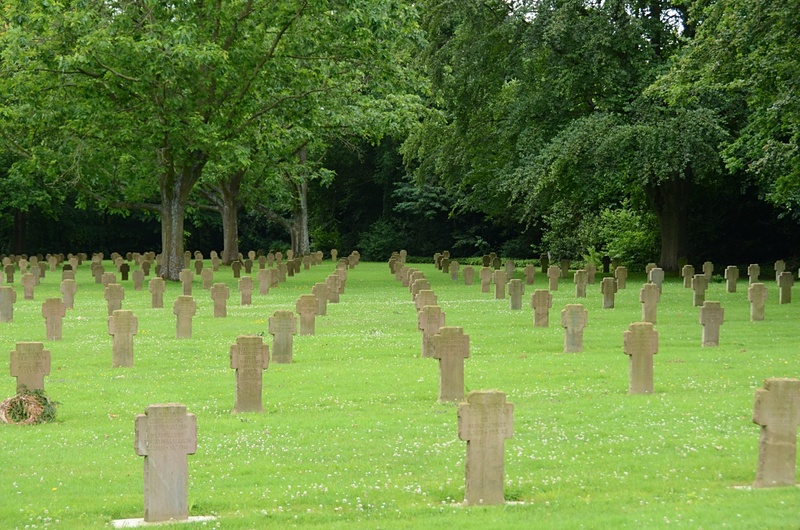 These two cemeteries are the most easterly of the Normandy burial sites. 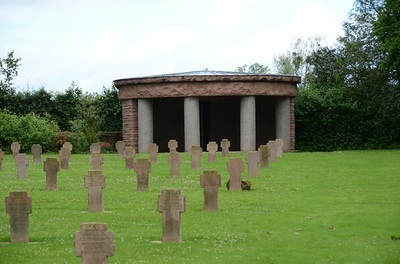 This is the smallest German cemetery in the Normandy region. Beneath the red sandstone crosses are the graves of 3,735 fallen German soldiers, many from the 15th Army, 7th Army and 5th Panzer Army. 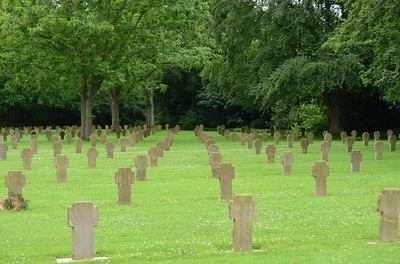 The majority of soldiers here were killed in the last days of the Battle of Normandy, during the German retreat towards the Seine in August 1944, and were buried by the British Graves Service.